D-Link has launched Mini HD Wi-Fi Camera in India. The D-Link DCS-P6000LH is a compact and affordable surveillance camera that comes equipped with mydlink Cloud.Mini HD Wi-Fi Camera DCS-P6000LH is meant for homes as well as offices. 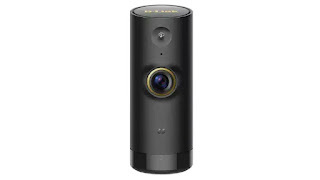 D-Link Mini HD Wi-Fi camera features mydlink cloud recording with 24 hours of free recording. It comes with automated backup for video recordings on cloud server. Also, buyers can avail the cloud subscription and playback recordings from the cloud or download video clips to smartphone anytime. Additionally, live views of cameras using the mydlink mobile app can be accessed in real-time. Users can also set automated schedules via smartphones. In terms of specifications, the D-Link DCS-P6000LH comes with inbuilt IR LED that provides 5 metres of night vision and automatic push alert notifications. The Mini HD Wi-Fi Camera captures videos in HD (1280x720 pixels) and comes with a 120-degree wide-angle lens capable of 4x zoom. The D-Link Mini HD Wi-Fi Camera height is "equivalent to that of a deck of playing cards, this camera's miniature style makes it the perfect shelf or counter-top Wi-Fi camera." It is 4-inches tall. For connectivity, the camera has Bluetooth 4.0, Wi-Fi 802.11 g/n, and is accessible on iOS devices, Android handsets, and Windows phones via the mydlink Lite app. Notably, the sound and motion sensors trigger push notifications on associated smartphones. It is priced at Rs. 2,995 in the country and is currently available through D-Link network of distribution, reseller, retail outlets, and the company's website.